Formentera del Segura is a small town situated on the left bank of the river Segura, in the region of Vega Baja located in the province of Alicante. Formentera del Segura is a 15 minute drive from Guardamar del Segura, a town on the coast Mediterranean. Formentera del Segura was originally founded by the Moors. It was restored to Christian control in 1242 by King Jaime I (‘The Conquistador’). The village changed hands a number of times over the prevailing centuries until 1730 when it came under control of Nicolas Pérez de Sarrio (The Lord of Formentera) and thus acquired its current name. 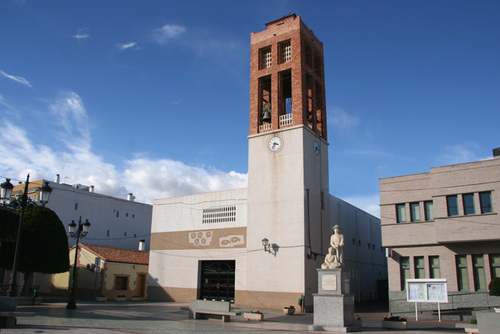 Although the village was nearly destroyed by an earthquake in 1829, the heirs of the Marquis of Algorfa were responsible for the reconstruction of the town, culminating in 1840 with the building of the present church. The economy of Formentera is mainly based on agriculture and citrus, vegetables and cereals growing. Formentera del Segura benefits from an irrigation system put into place by the Moors centuries ago. The Parish Church of Purisima can be found in the Plaza. It contains images of San Roque, the Nuestra Seniora del Rosario as well as the Adoration of the Shepherds. Other monuments in the town include the Ermita de San Roque, a shrine built in honour of the village’s patron saint of the same name. Formentera del Segura has all the amenities you would expect in a small town from restaurants and bars offering both local and international cuisines. There are shops and markets offering a variety of foods and goods such as fruits and vegetables, olives, clothing and shoes. The area has a wonderful Mediterranean climate with the Segura river basin having the lowest rainfall in the whole of Spain. Formentera del Segura is a very accessible town, situated between the capitals of Alicante and Murcia provinces. Formentera del Segura is 30 minutes from Alicante, 25 minutes from Alicante airport, and 40 minutes from Murcia's San Javier airport. See below to view a selection of our bargain properties in Formentera del Segura.